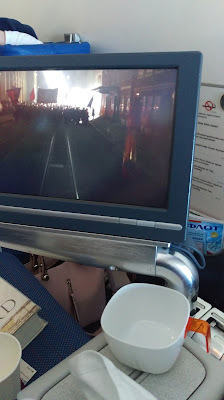 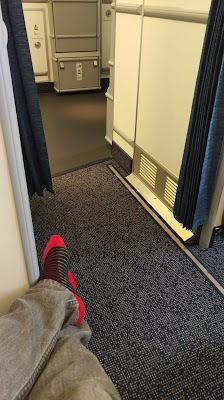 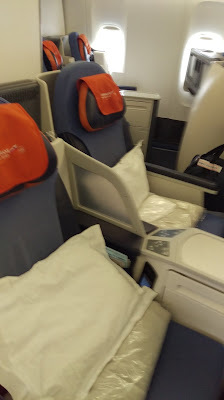 After spending a few days in Kazakstan and Kyrgizstan it was time to fly back home to New York, I was able to find a Premium Economy ticket for just 100 USD more than coach and the idea of having a better seat, more legroom and just 8 across versus 10 in regular economy made it a no brainer. 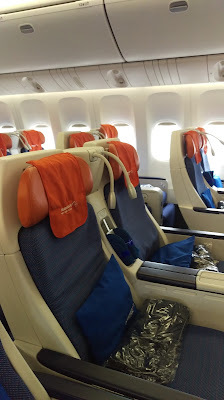 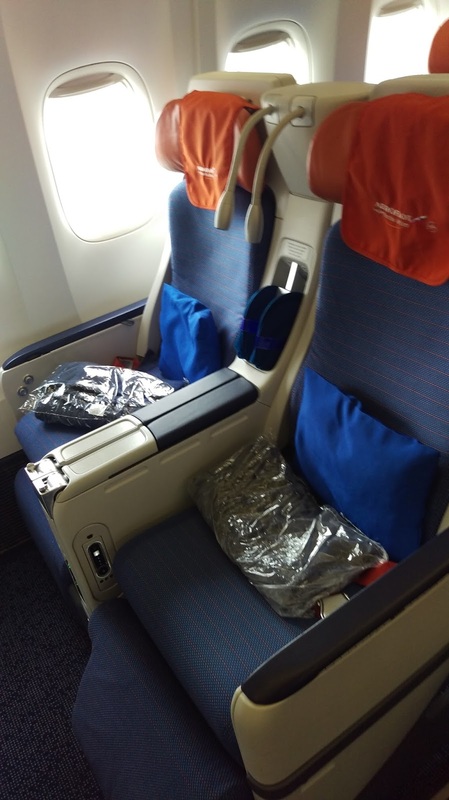 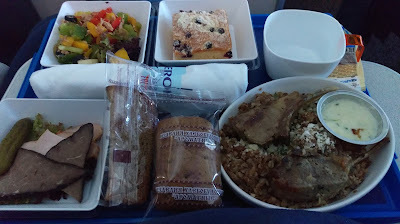 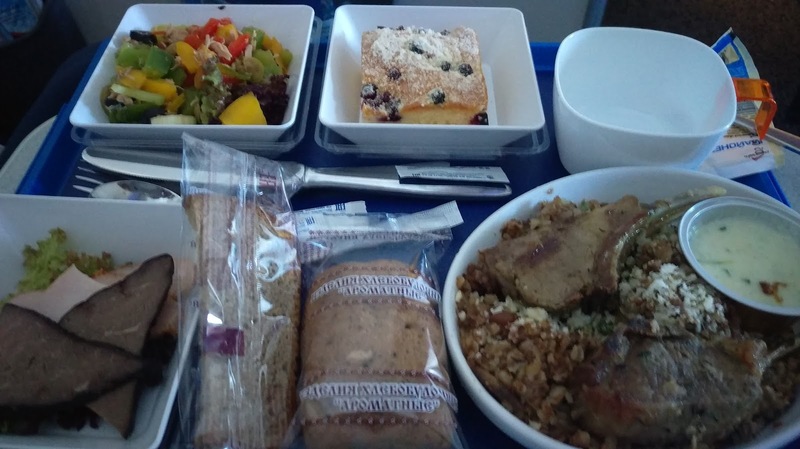 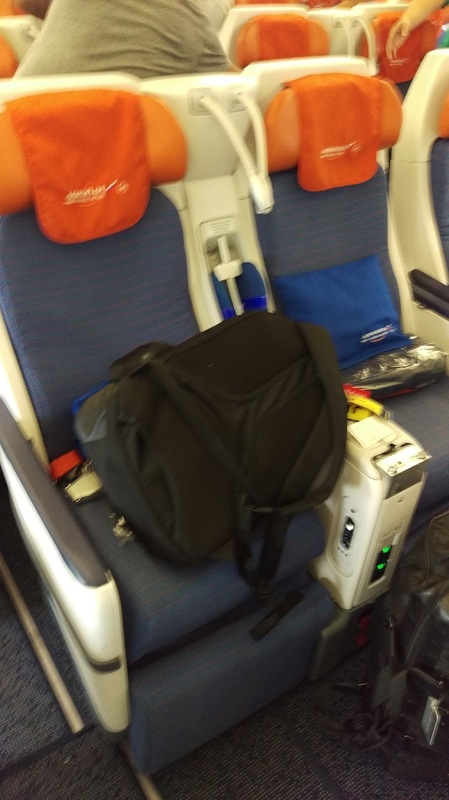 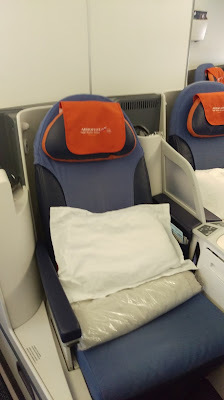 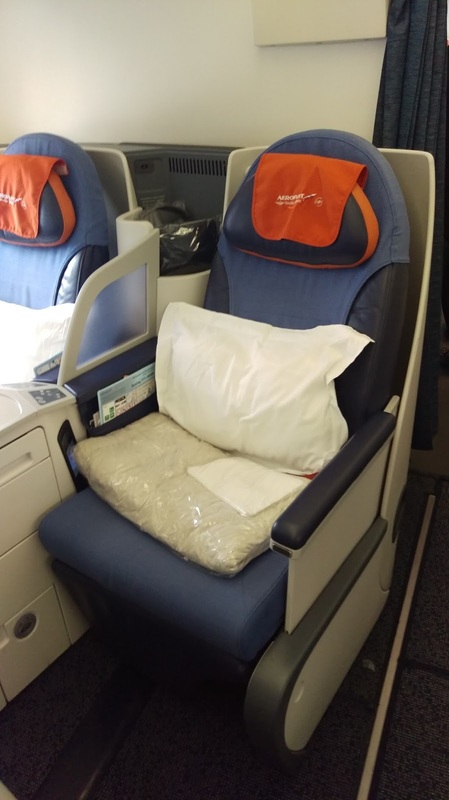 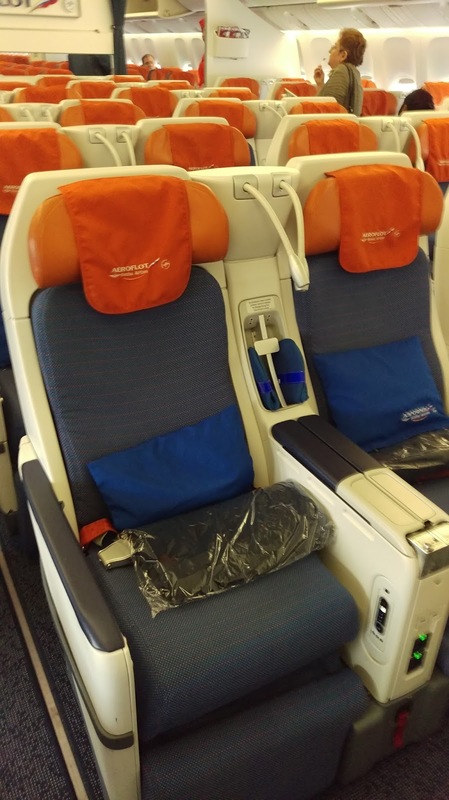 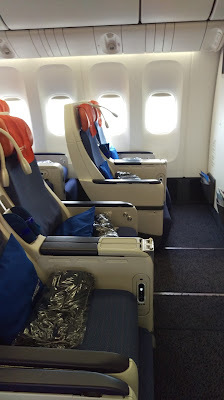 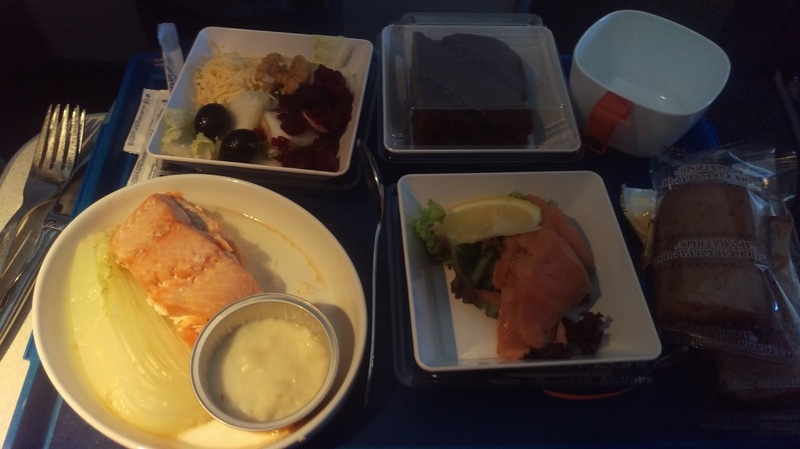 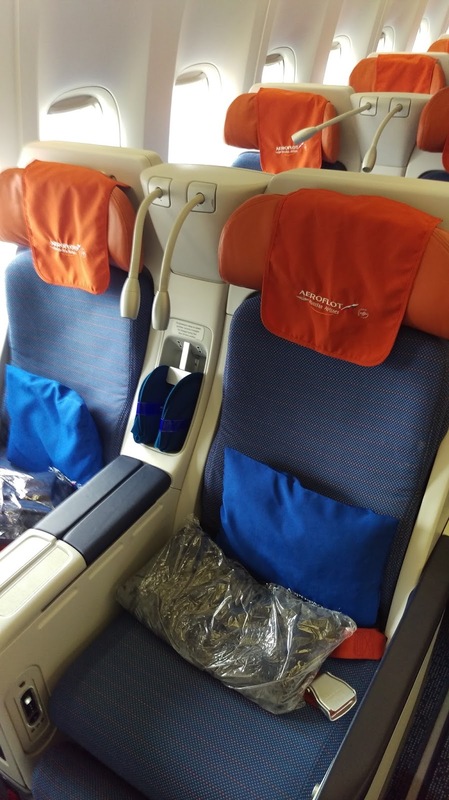 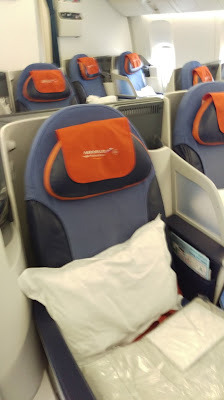 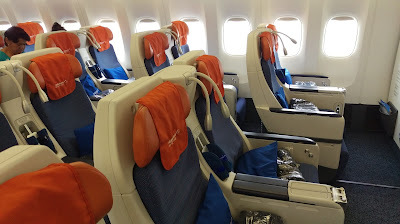 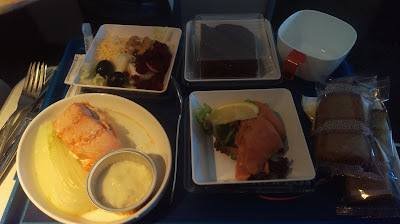 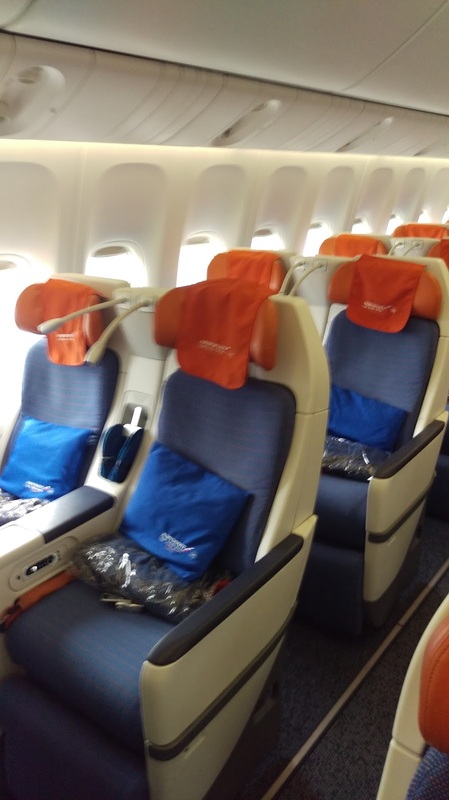 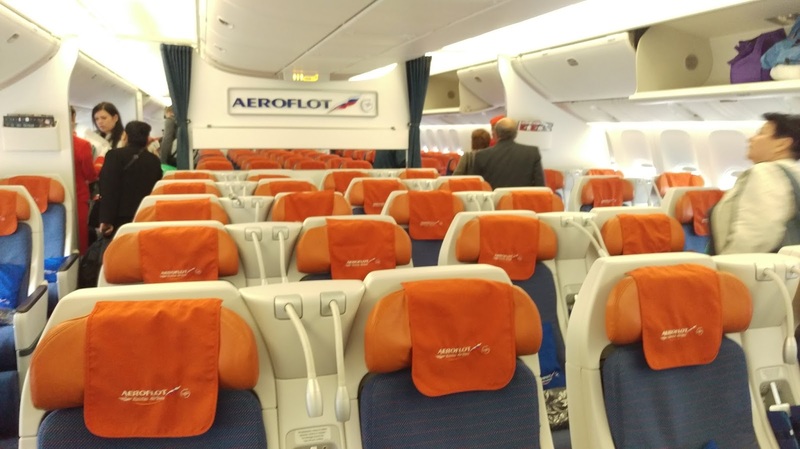 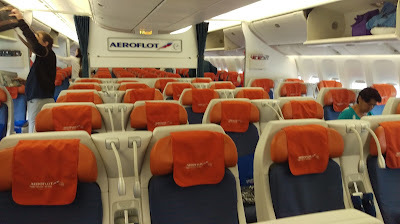 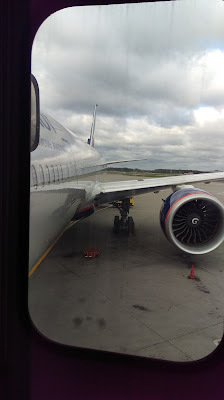 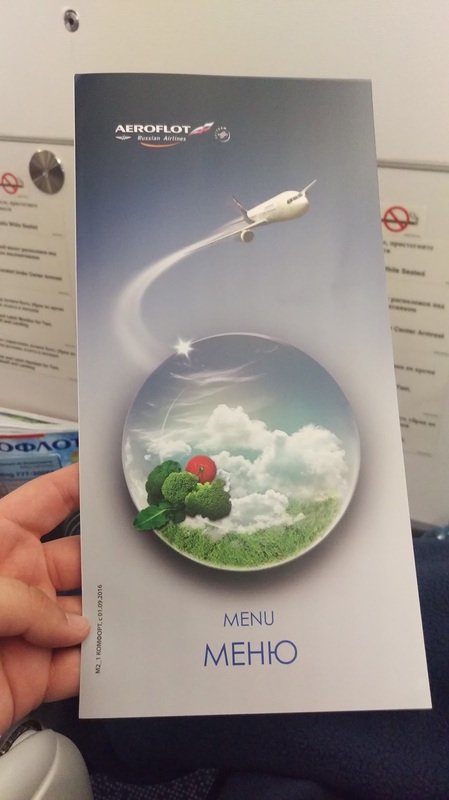 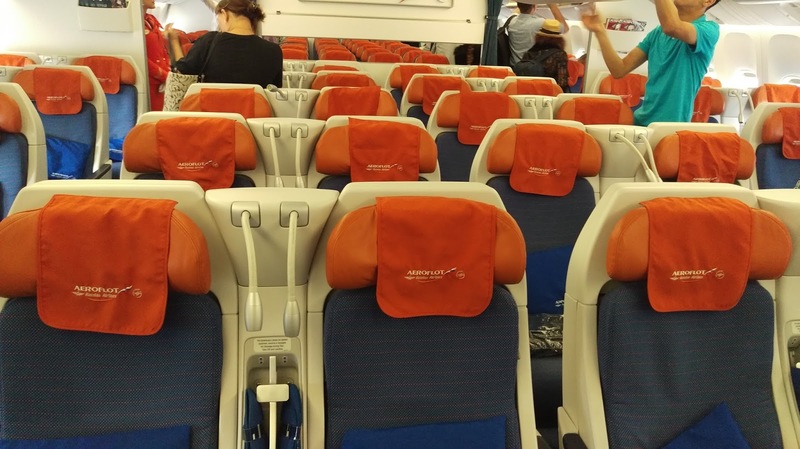 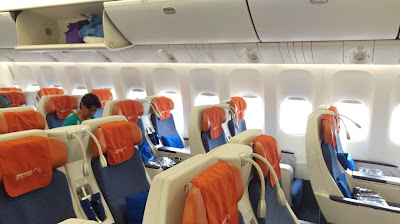 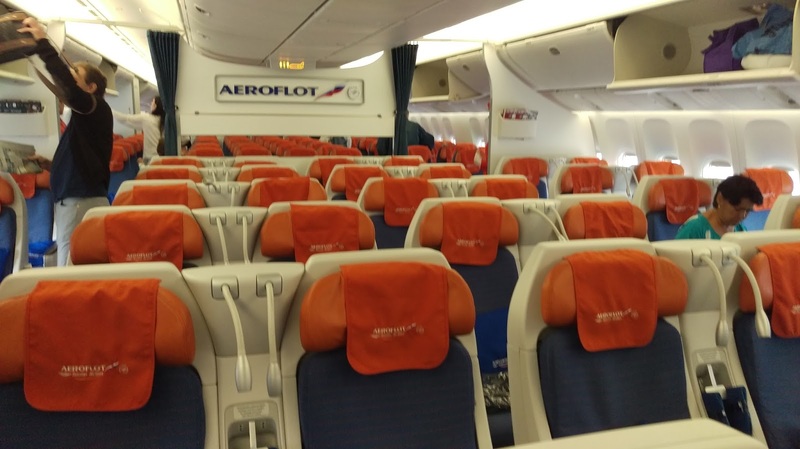 Aeroflot uses the same seat as Air France in their Business Class and also serves entrees from the Premium cabin. 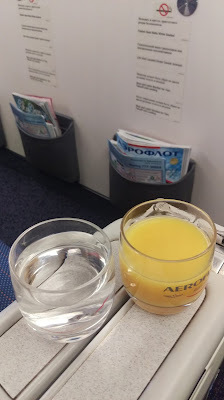 The major difference is that alcholic beverages are limited to just one or two with the main meal.